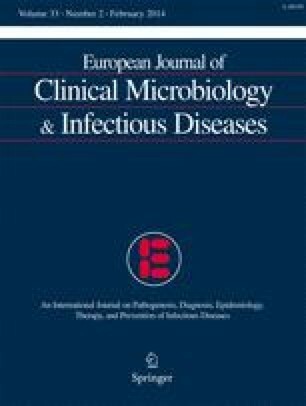 Streptococcal inhibitor of complement (SIC) and distantly related to SIC (DRS) are well-characterized extracellular virulence factors produced by only a few emm types among group A streptococci. The prevalence and sequence variations of the sic-like gene (sicG) in clinical samples of group C and G Streptococcus dysgalactiae subspecies equisimilis (SDSE), however, have not been widely investigated. We constructed primers targeting sicG and screened 129 geographically matched and previously emm-typed non-invasive (n = 64) and invasive (n = 65) SDSE isolates for the presence of this gene. sicG was detected in seven non-invasive and eight invasive isolates belonging to eight different emm types. Within five of these emm types, sicG-negative isolates were also detected. All three isolates of stG2078.0 possessed sicG and were associated with severe soft tissue infections. Altogether, six sicG alleles (sicG1–6) were identified, and sequence variations were mainly caused by single nucleotide polymorphisms and deletion/insertion mutations. sicG1–6 were predicted to encode SICG proteins of varying length, composition, and homology with SIC and DRS proteins of group A streptococci. Our findings indicate an unpredictable association between sicG and emm type, a limited distribution and substantial sequence diversity of sicG, and no obvious relation between its presence and disease severity. The study has been financed by the University of Bergen and Haraldsplass Deaconal Hospital. The authors wish to thank Trond Bruun for the revision of the manuscript, and Marit Tellevik for the technical assistance.